NATION WIDE SHIPPING FROM STRATEGIC SHIPPING POINTS! Description: Interior wall system. Usage: Interior or Exterior wall System. 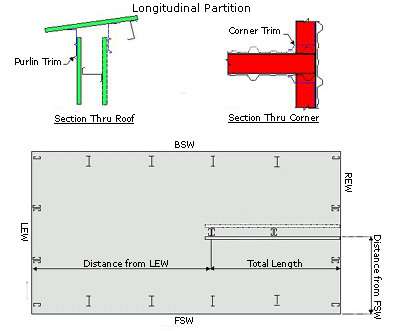 Partitions are walls that are inside the building design to section off parts of the interior space of a building. Limitations: Partitions must run to the roof line.